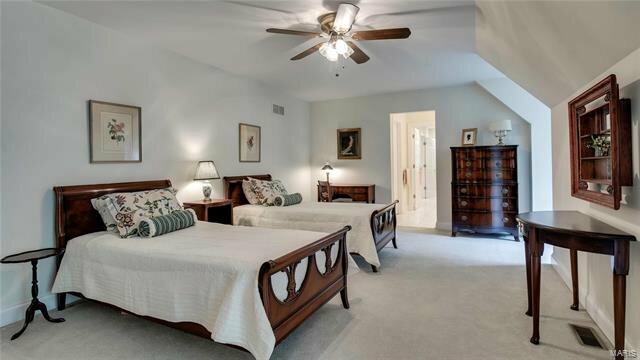 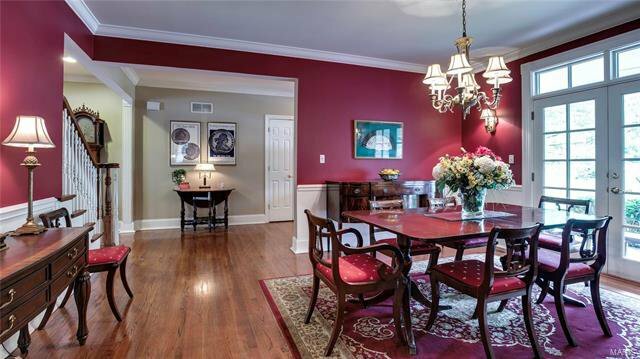 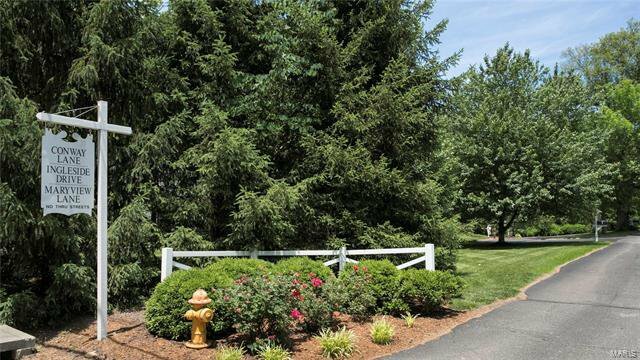 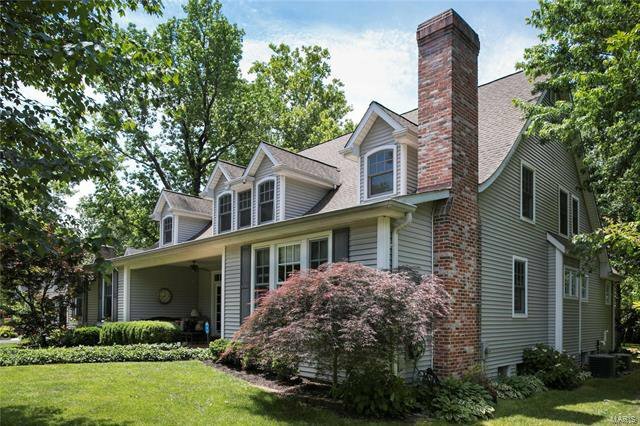 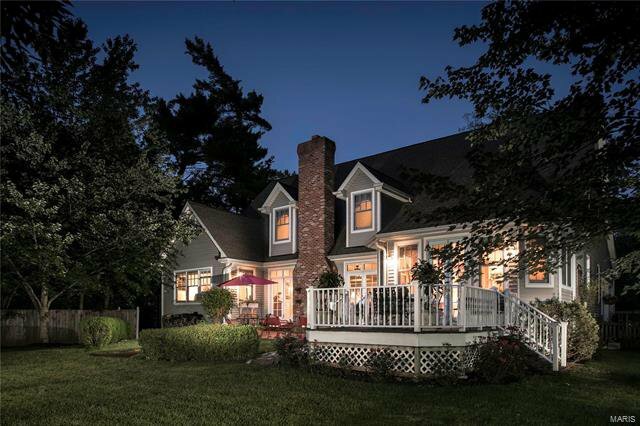 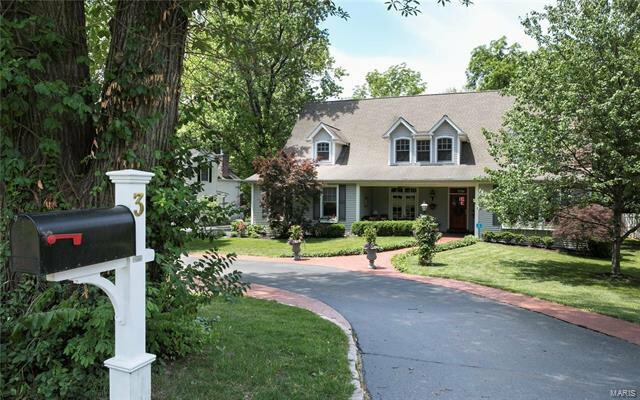 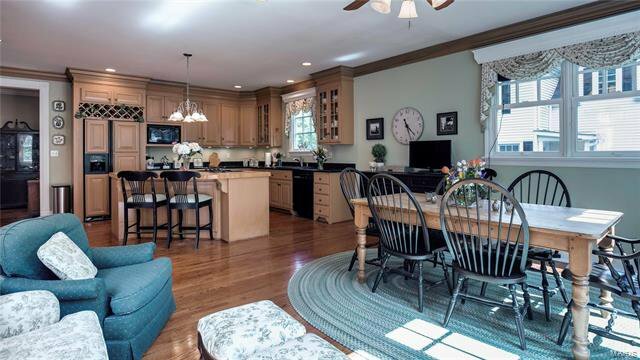 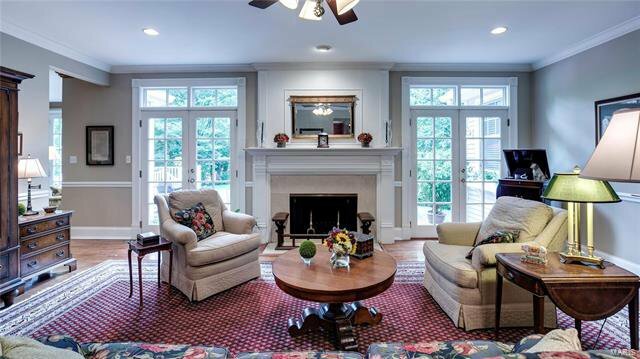 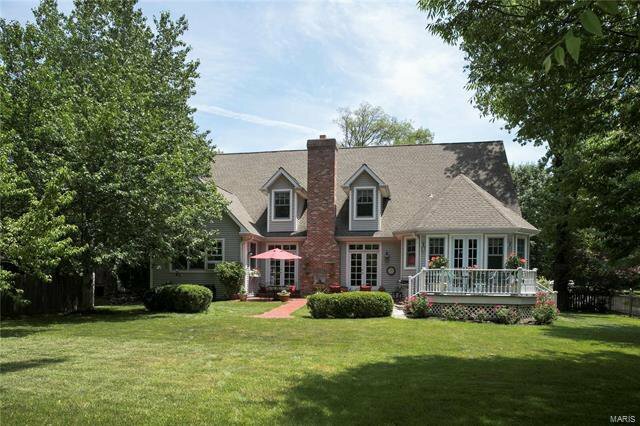 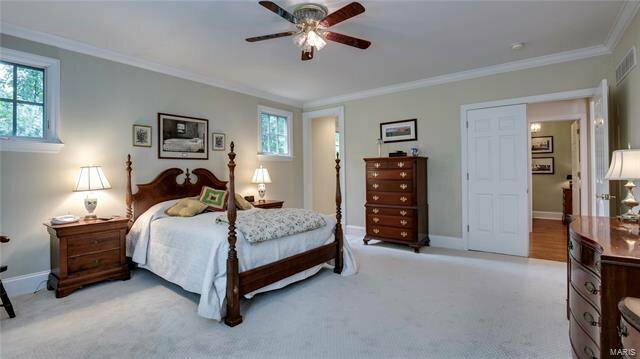 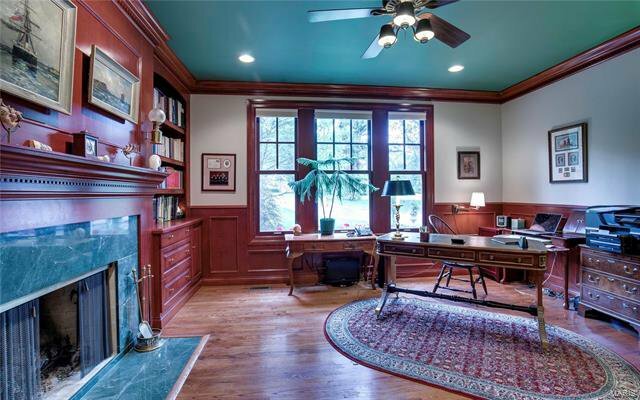 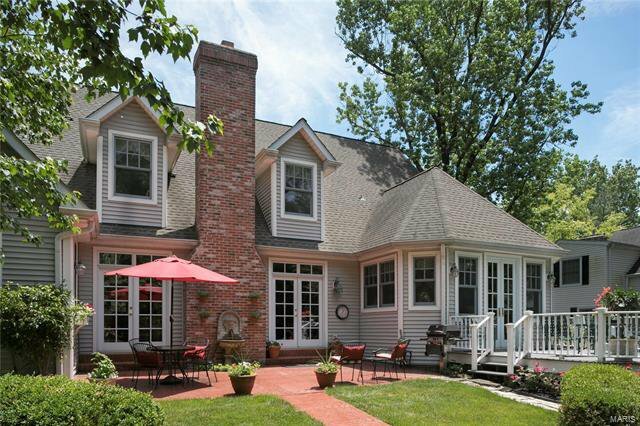 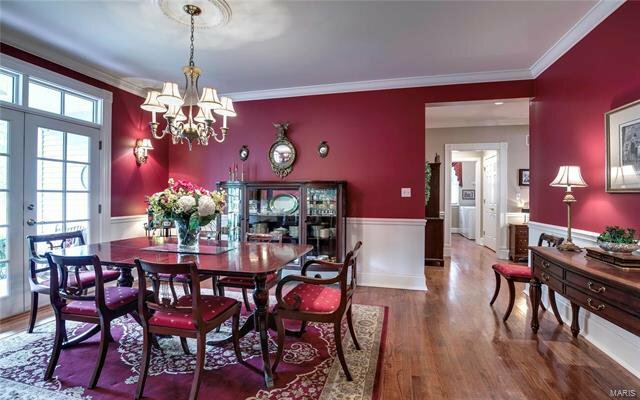 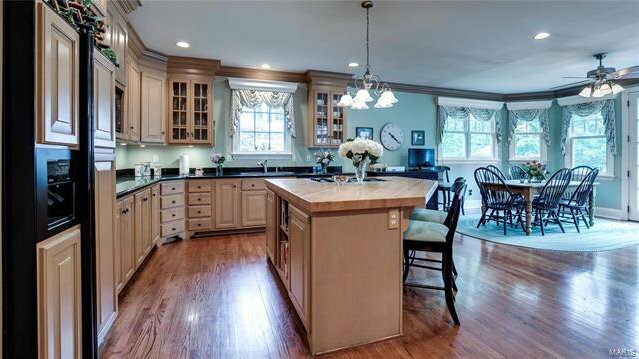 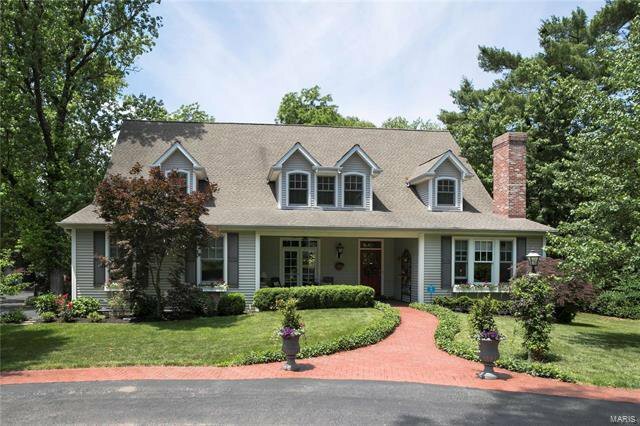 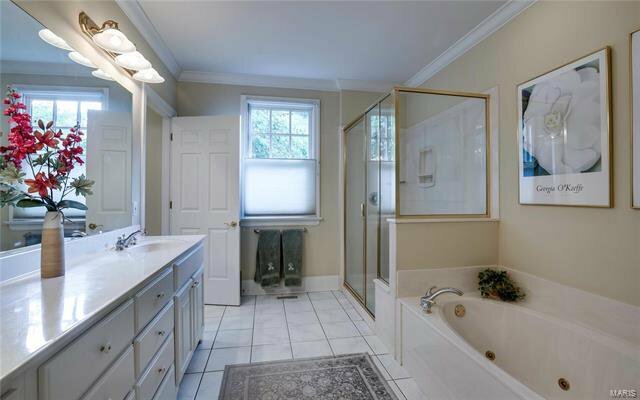 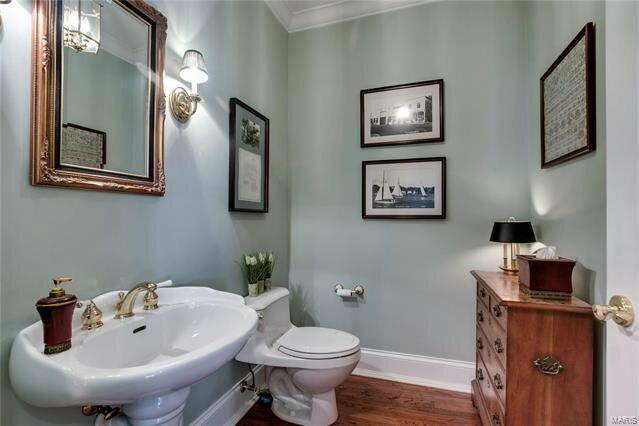 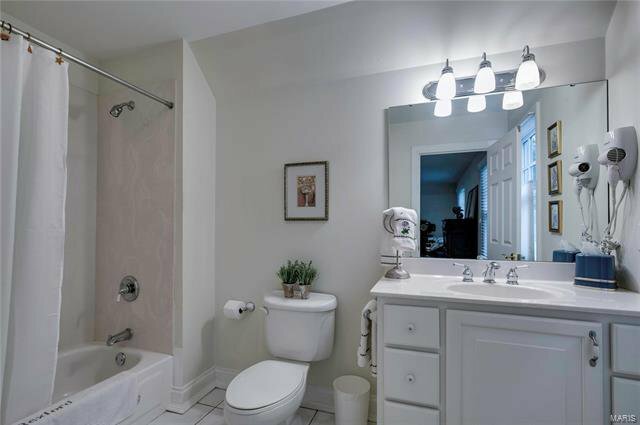 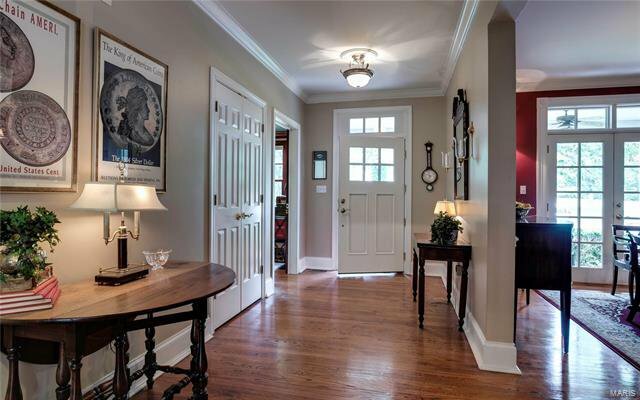 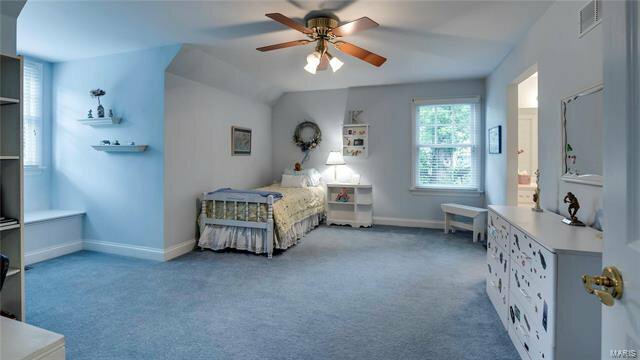 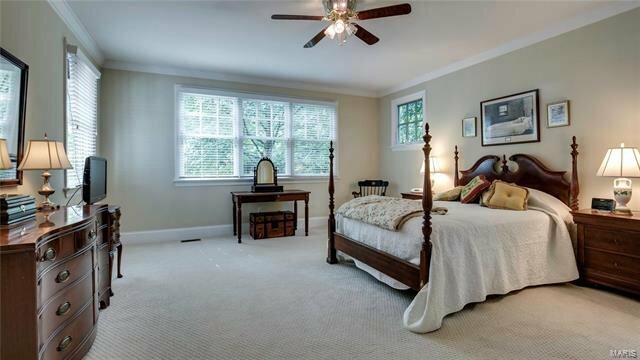 In the heart of Ladue, this home has authentic colonial architecture, exquisitely groomed gardens, and superior layout and circulation. 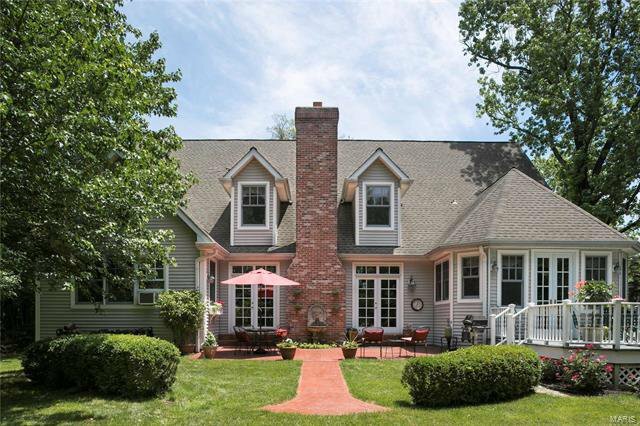 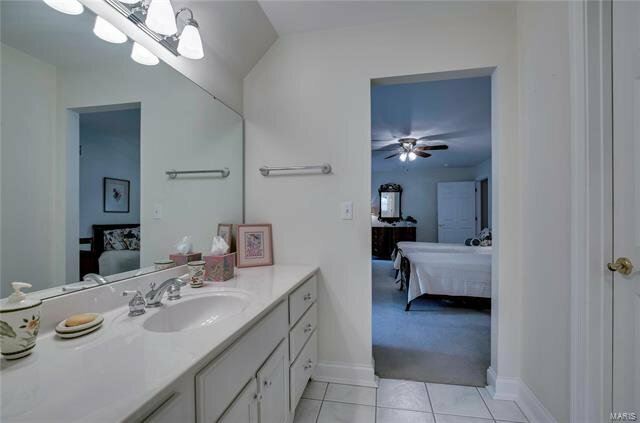 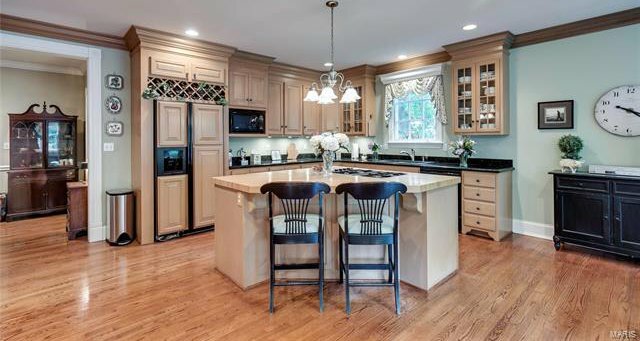 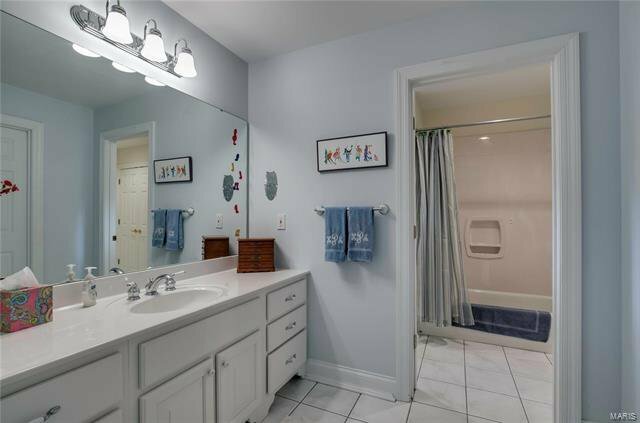 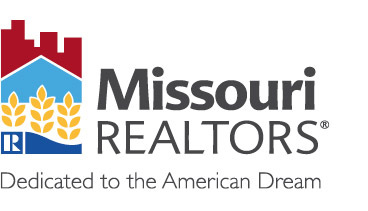 Built by the current owners, this home offers new construction and features people want. 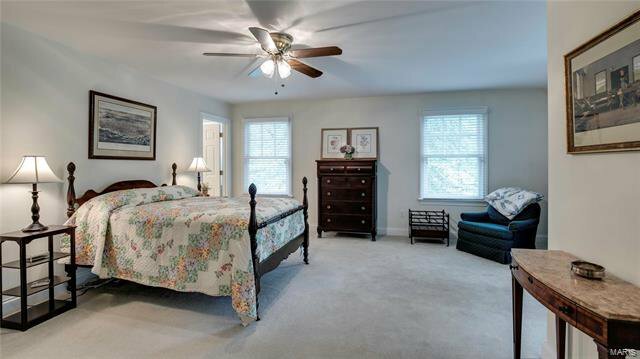 Master suite is on a first floor wing. 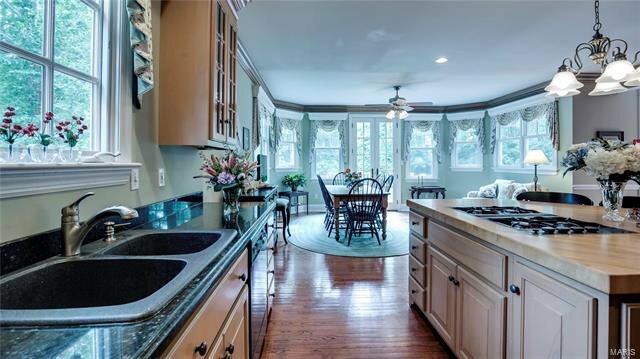 The large kitchen and family room empties onto a beautiful deck. 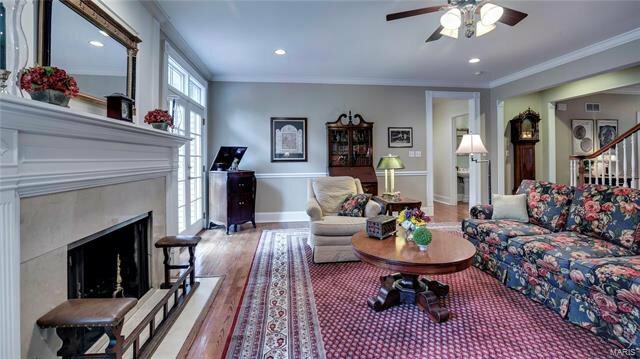 The pair of French doors in the living room open to the secluded terrace. 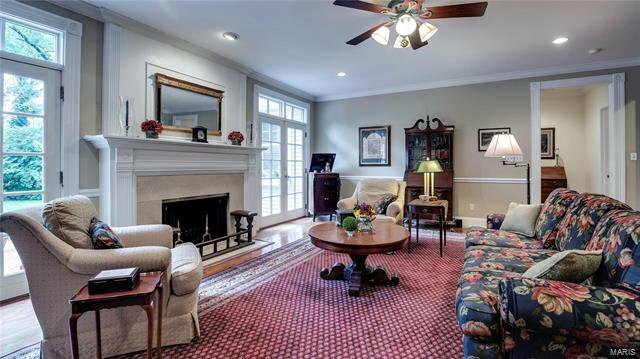 In the winter you will enjoy its large and distinctive fireplace. 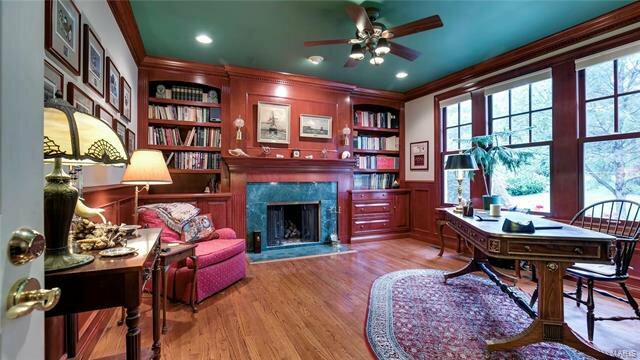 The library contains cherry wood cabinetry and bookshelves built around its own marble fireplace. 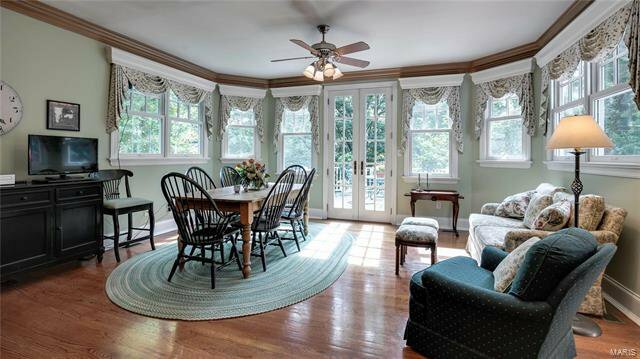 The dining room features a magnificent window surrounding glass doors overlooking the front porch. 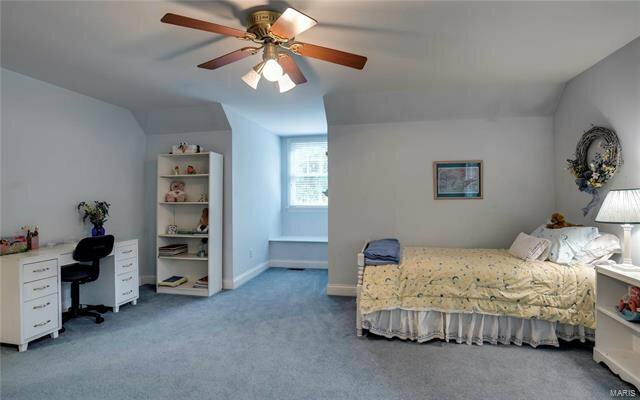 The second floor is large with 3 bedrooms, 2 baths and family area. 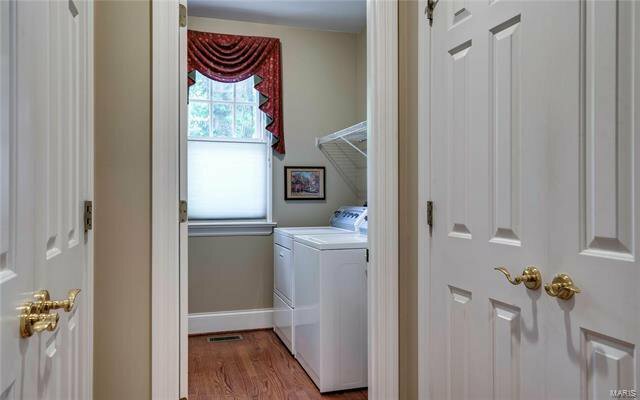 2 walk-in closets in master. 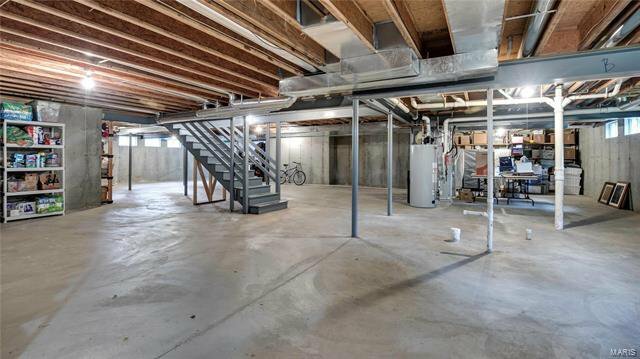 The immaculate basement is huge and offers the ability to add a great deal of living space with its roughed in plumbing and bright 2 pane windows. 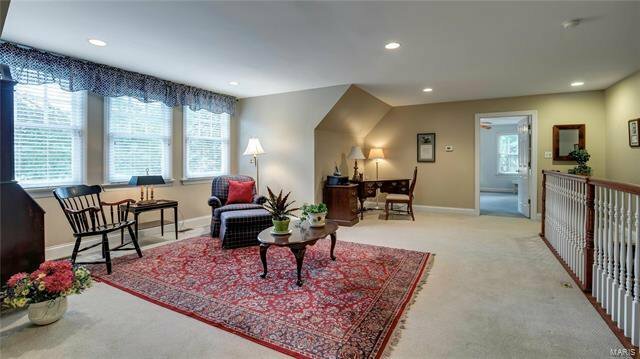 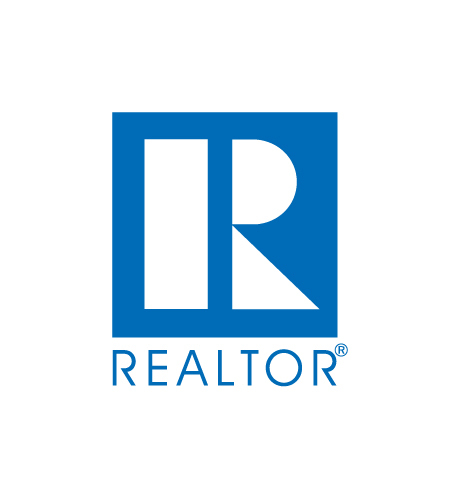 This warm, comfortable, and spacious home provides the perfect place to live and grow.